Participating in the round so far were OCA Ventures, Venture51, IDEA Fund Partners, Great Oaks, and angels including Adam Draper, Semil Shah, Jocelyn Goldfein, and others. Corcoran’s AngelList syndicate, launching on Monday, has asked for a $250,000 hold. Along with other investors, the startup is expecting to raise a total of $5 million for its Series B when fully closed. 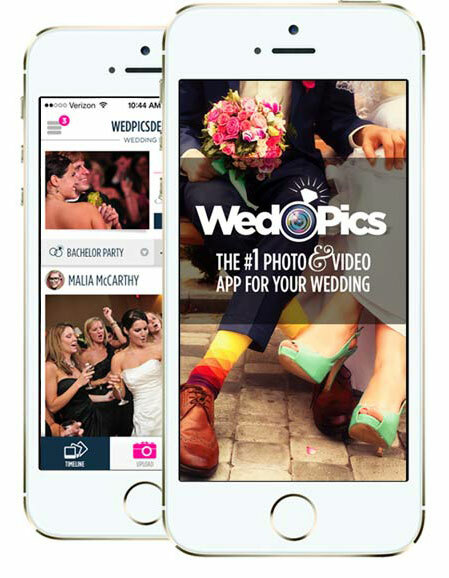 WedPics is not the only company to offer a weddings-focused, photo-sharing app. Others in the same space include Eversnap, Capsule, and Wedding Party, to name just a few. But the startup has figured out something when it comes to user acquisition, and isn’t shy about sharing its figures. Today, the company is acquiring 25,000-30,000 new brides per month, and is acquiring weddings at a cost of under $2 per wedding. (David’s Bridal, a big retailer in the space, acquires weddings for around $60/each, to give you an idea). According to co-founder and CEO Justin Miller, WedPics was hosting over 6,000 weddings per weekend during this summer, with 175,000 guests joining and users uploading a photo every second. To date, 400,000 couples have signed up for the service, and the company has reached 2.5 million users – brides, grooms and guests combined. Across all its metrics, growth has been up by over 200%, Miller says. Because WedPics has an audience whose time spent using its service is ultimately finite, those that do end up downloading the app and participating are highly engaged. Over half of WedPics’ users upload at least one photo, and of that 55%, 76% upload at least three photos. The app’s popularity has a lot to do with its simplicity, and these days, its name-recognition and trust factor. Couples, and brides in particular, tend to sign up a good half a year or more before their big day and begin documenting other wedding-related events, like fittings, shopping trips, showers, and other pre-wedding parties. More recently, WedPics has expanded to include options for couples to share their accommodations and registries, too. And it’s now generating revenue through print services that let couples order tabletop cards promoting the app, as well as an option to order photo prints. On that latter front, WedPics is selling around 20,000 prints per week at present. The company also has an international footprint, despite not having localized its app. Today, it has 15% of the U.S. market, one-third of the U.K., a quarter of Australia, and a presence in 188 countries. Going forward, WedPics will be using the funding to ramp up its user acquisition efforts which are largely done through social media, and today, mainly Facebook. It’s about to start using Pinterest’s Promoted Pins ad product soon, and is looking into Tumblr as well. The 16-person team is growing, too, with plans to hire mobile and web developers along with marketing. Next year, the company may also begin exploring the question about what comes next after weddings. What it probably looks like, though? Baby showers and birthday parties, we expect.